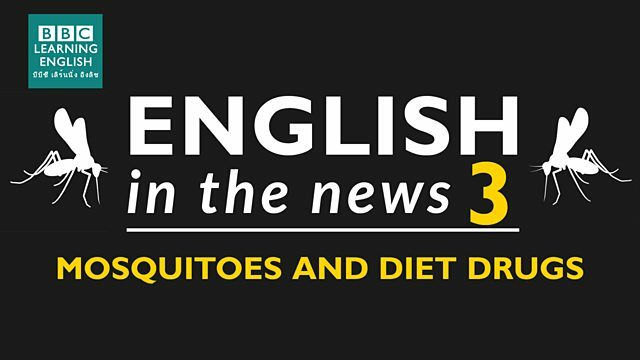 Scientists say they may have found a way to reduce the appetite of blood-hungry mosquitoes. Join Sam and Clare to hear more about this story, and learn phrases related to a desire to do (or not do) something. We need a countable noun in this expression. Mel has such ______ knowledge. She's always researching things online or in the library. Does this person want to stay in or not want to stay in? I ______ staying in tonight. Why don't we go out for dinner? I'm really in the mood for pizza! It's hard for me to suppress my feelings. Remember, this phrasal verb is separable, and can be followed by a gerund (-ing) or a noun. Your skydiving story was really scary! It's completely ______ it.